Often, mourning and grieving are two words that are used interchangeably, when in reality, they actually mean something quite different. The difference can be simply explained as this — mourning is what can be seen from the outside, as an intentional expression of ones grief. Grieving happens on the inside. It is the emotion associated with a loss. Something that cannot be seen – it is all that happens on the inside. 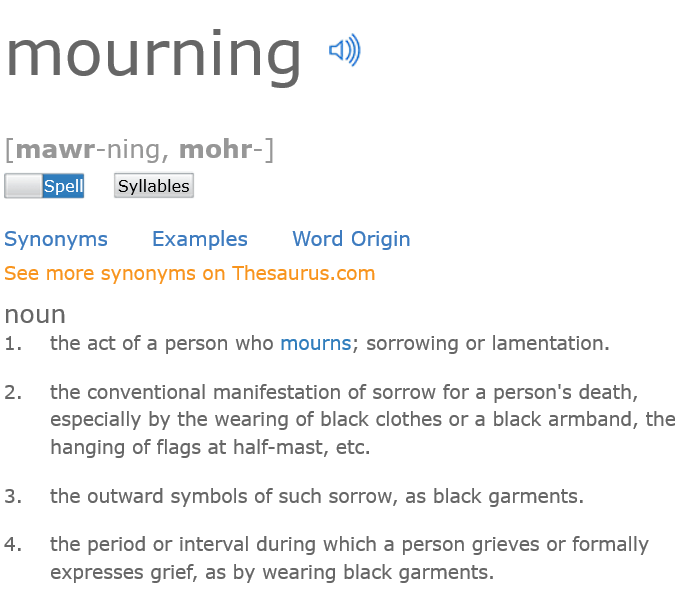 Mourning involves ritual and symbols. Those outward signs of our bereavement. It is a way that people honor their loss and it is also a signal to others that we are in a state of grief. When you think of mourning, the Victoria Era might come to mind. Thick black dresses, veils, mourning jewelry, and post mortem photography were common to see as symbols of loss and grief. This was a time when there was so much death due to diseases like small pox and tuberculosis. This disease was especially hard on young ones. Infants, children, and even those in adolescence seemed to be most at risk to contract and perish from these illnesses. However, it was not uncommon for entire households to lose several family members. As you might imagine, this was a very difficult time and mourning rituals were abundant. Following the death of her beloved Prince Albert in 1861, Queen Victoria went into a deep mourning which lasted until her death in 1901. She lived as a widow for 40 years, until her death, and was rarely, if ever, seen wearing any dress color other than black. While there were certainly mourning rituals before Prince Albert died, mourning etiquette gained immense popularity. Queen Victoria’s friends, family, acquaintances and countrymen (and women) followed her example when they experienced their own grief. Wear dark colors or muted tones. Refrain from going to parties or other social events. Leave items such as rooms, clothing, or that last things the deceased may have touch, in place. Perhaps not moving them for weeks, months, or even years. 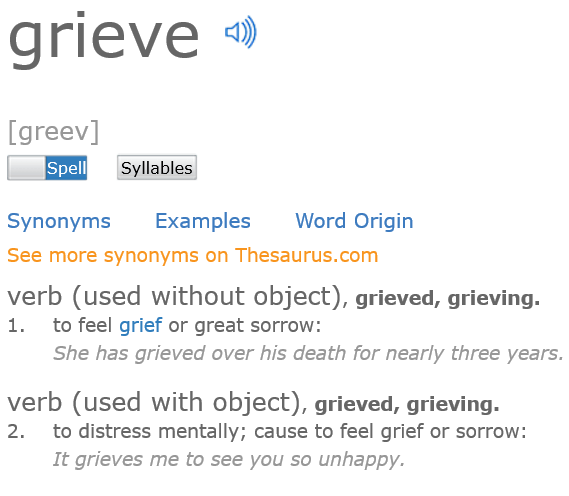 So grief, or grieving, is the jumble of emotions we feel when we lose someone we love. This can include sadness, anger, loneliness, and guilt – just to name a few. It cannot be measured, and is not always seen. Though the expressions of our grief can manifest as outward signs, which can include mourning rituals. There is no time limit on grief – the intensity lessens over time but for many the grief over a loss always remains. Grief looks and feels different for everyone and that is because it is internal. It is based on our individual feelings, experiences, and our relationship with the deceased. There is no time frame for grief and coping with each loss is different so make sure that you are patient with yourself and others.